Overall pending home sales increased at least 100 percent in October 2009 compared to October 2008 in each price category under 2 million, according to a report released by the Naples Area Board of REALTORS® (NABOR), which tracks home listings and sales within Collier County (excluding new construction sales and Marco Island ). 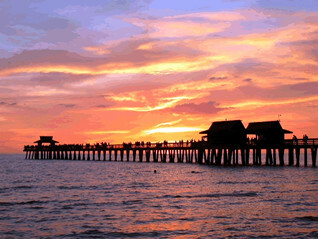 Summer is usually a slow time of year for Naples real estate, but this year there was increased activity from Northern buyers wanting to take advantage of bargain prices for Naples FL homes. There were over twice the number of contracts written this October as compared to last year. This is a significant indicator that Naples is already well into recovery mode. The properties in the under $300,000 market have led the way in sales for the past few months. However, the market recovery is now working its way up to the higher priced properties. Pending sales in the $300,000 to $500,000 price segment have increased 150 percent from 48 contracts in October 2008 to 120 contracts in October 2009. Strong demand has already put a dent in higher than normal inventory levels. The available inventory declined 14 percent to 9,347 in October 2009 from 10,815 in October 2008. Additional signs of strong demand are seen in Naples new construction sales (these are not included in the NABOR statistics above). Marbella Lakes has been the “singlefamily hot spot,” according to local broker Ross McIntosh. “The builder has pulled 119 permits so far this year,” he said. Increased sales, inventory declines and new home sales (and even price increases) all point to a strong recovery for Naples real estate. Buyers who hesitate too long will miss the best opportunity in the last decade to purchase Naples FL homes at bargain prices.